Depending on where you live, having an outdoor wedding may not be a possibility. A lot of this can depend on the time of year when you’re having your wedding, particularly if you live in the northern part of the United States. If you’re having your wedding during the winter months in Michigan, you’d have to be pretty bundled up to have your wedding outdoors. But besides just the cold, many people live in rainy climates like Seattle or other northwestern states that can make weather outside too unpredictable for an outdoor wedding. Fortunately, there are some cool ways to bring the outdoors into your wedding that will make you feel like you’re saying your vows outside. If you were having an actual outdoor wedding, you would probably be saying your vows near some flowers, trees, or even under some sort of trellis. Consider duplicating that feel inside your venue so you can make it feel more like you’re outside. The most popular choice is to use a trellis with artificial vines weaved through it, but I personally prefer having two blossoming fruit trees standing on both sides of the altar for the symbolic nature of it. Making chandeliers from vines and flowers to drape from the ceiling is a great way to give your venue that outdoor aesthetic without a lot of work. Throughout most of the night, your guests will be looking across the table at other people and having conversations. My putting some floral chandeliers in the center of the table hanging from the ceiling, they will be in clear view for most of your reception. Just make sure it isn’t too thick or it may prohibit your guests from seeing everyone at their table and mingling with them. Using some activities that would normally be seen outdoors can instantly change the way your venue feels inside. I’ve seen couples setup beanbag boards so their guests can play tournaments throughout the reception with fake palm trees and sun lamps. However, something as simple as handing out some 36 inch sparklers to your guests can do the trick since you normally don’t do sparklers inside. As long as you buy sparklers that were actually designed for weddings you can safely use them indoors because they don’t make any smoke. Many couples are already planning on having a bulletin board or easels with collages of pictures at their wedding, so why not use this as an opportunity to make it feel like you’re outdoors? By creating a moss wall, you will have a way to hang all of your pictures and decorations easily while sticking with the outdoor theme. 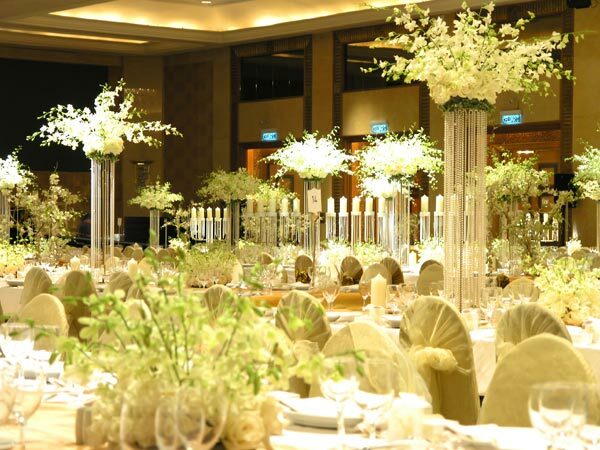 It also will take care of decorating a large swath of your wedding venue without much trouble. Though I’ve seen real moss used for this once, most couples buy the premade version that is made from synthetic materials, is much more lightweight, and can be setup in just a few minutes. With some creativity, you can easily transform your reception hall into an outdoor wonderland. It’s impossible to replicate all the nuances of actually being outdoors, but you can do a great job creating the illusion to fool the senses. How Can Essay Writing Help Websites Promotion?